American Express, sensitive to the fast-moving winds blowing change into the digital payments scene, is investing $100 million to ensure its role in the future. In its press release today American Express revealed explicitly that its new $100 million Digital Commerce Investment Initiative was destined to fund “early stage startups to facilitate the company’s digital transformation.” If that sounds like a firm that’s aware it’s got to rapidly pivot, that’s because that’s exactly what’s going on. Where traditional credit card transactions were all about giving the merchant a secure and authenticated copy of those all-important 16 raised silver numbers on the face of your card, technological developments like NFC, smartphone payments and even innovations like Square and Google Wallet show that there’s scope for a much richer interaction to go on at the moment of payment–something that’s never been possible before. That’s what American Express is aiming at. “The information that is derived from a payment transaction” can be used in “closed marketing loops, can be used to populate your budgets automatically, it can be used to automatically create loyatly, to be able to pay for things in ways that we traditionally haven’t been able to do,” Schulman was careful to point out. A lot of people think of future payments as an evolution of payment method, “like tapping your phone at a point of sale. We think of that more as a form-factor change, as opposed to a complete value-proposition change” in the way the entire process of commerce is conducted, he added. To that end Amex will be trying to identify young, emerging technology companies that can help it innovate its business model and then will invest in them–a trick the company has previously tried with Payfone. But it’s not just a venture capital move, because the companies chosen will have their technology integrated into systems Amex has been already inventing, such as its Serve platform. 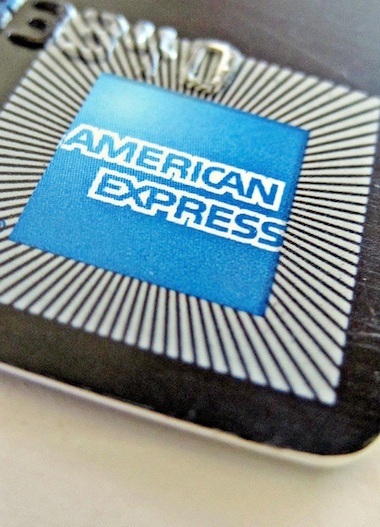 Amex may very well “partner with different hardware manufacturers, whether those will be OEMs, handset manufacturers or point of sale terminal manufacturers” but the primary intention is to look at software solutions to form an ecosystem that operates alongside the transaction itself (which could not involve a credit card number but instead a phone number) including loyalty points, offers, discounts, and so on. And here’s what’s behind it all: “Cloud-based services now available, high-speed mobile networks, the ubiquity of smartphones” and the fact “we have the Internet with us at all times.” In other words, just as we concluded, American Express knows that the “card” bit of its “credit card” business is about to disappear, and it needs to get clever at delivering rich data to the consumer, and the merchant at the point of sale. Just as money, with its abstract value, replaced bartering and then digital payments replaced physical money, so the actual process of shopping is about to evolve into something new.